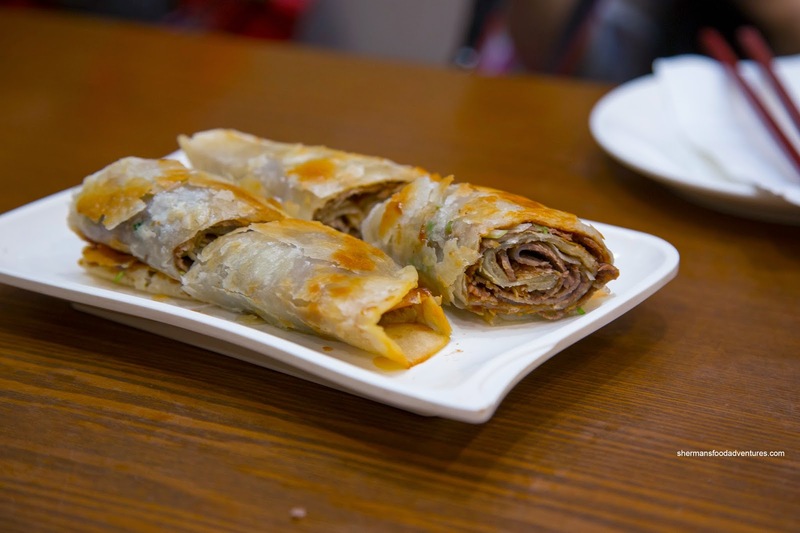 We began the meal with what we were here for - the Beef Pancake Roll. Glistening with oil (some shiny lard there...), the exterior was crisp while the layers underneath were just a touch doughy. I'm sure the grease helped make the pancake as flaky as it was, but really, it was not that pleasing after awhile. Inside, the beef was thinly sliced and moist, but the ample amount of sweet hoisin was overwhelming. Is it still the best in town? Probably not, but still good in the grand scheme of things. 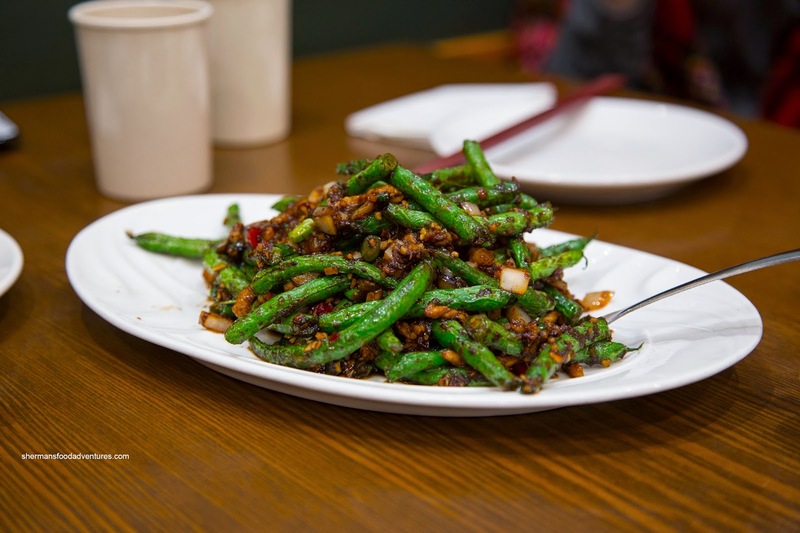 Next up was the Szechuan String Beans which were equally greasy. Although flash-fried and then stir-fried, these were not as crunchy as I would've liked. They were a touch soft, but not mushy. Flavourwise, it was okay with a barely detectible spice. 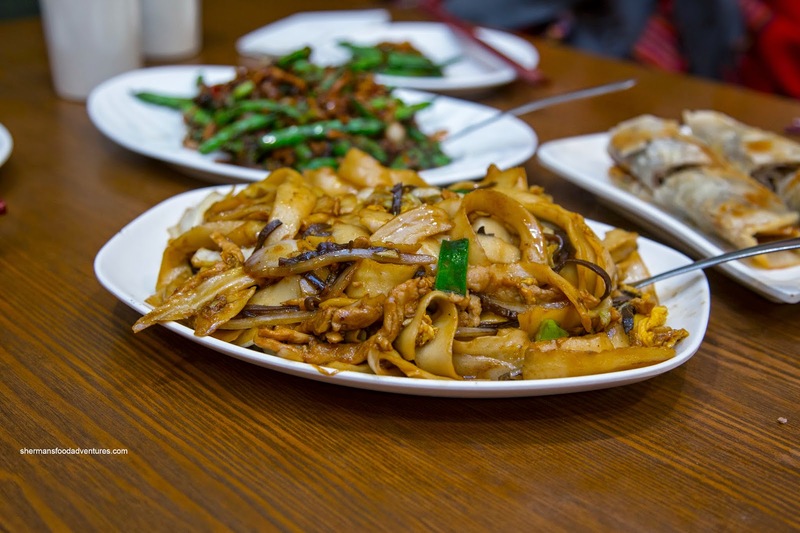 Unlike the last time, the Moo Shu Cutting Noodles were overly greasy. I'm not sure why this was necessary as the wok heat would've sufficed in keeping the noodles from sticking. That was most unfortunate as the noodles themselves were chewy and appealing to eat. There was enough seasoning as well without being salty nor too sweet. But the grease... it just made the dish hard to eat. 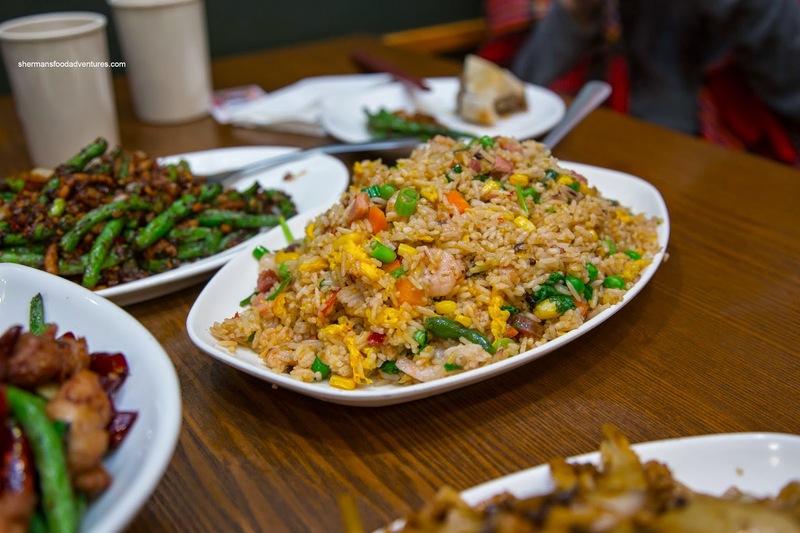 Fortunately, the Peaceful Fried Rice was not the beneficiary of too much oil. On the other hand, it wasn't dry enough nor did it exhibit any nuttiness. The wok heat was there, but somehow, it wasn't really fried rice. Even the promised spiciness wasn't really that apparent. 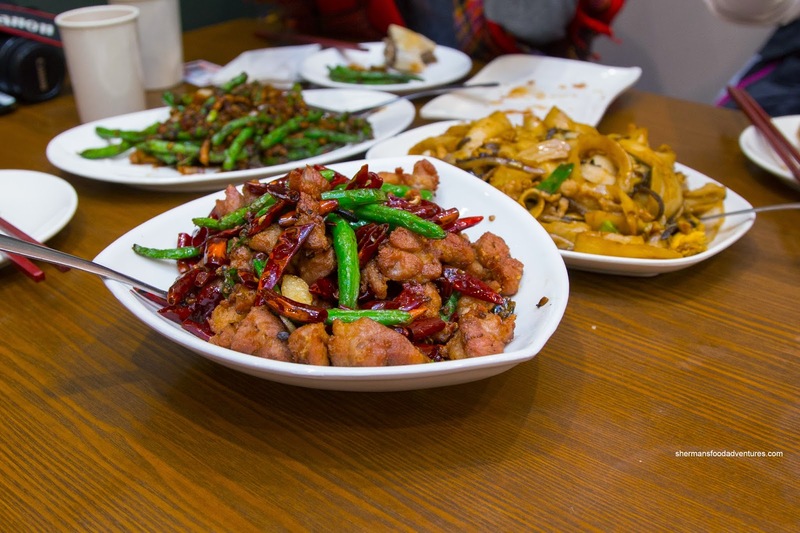 Lastly, the Szechuan Thousand Chili Chicken looked legit with chilis and peppercorns. But the flavours were flat without much spice at all. It looked and tasted like fried chicken knees. Spiciness withstanding, the dish itself wasn't bad since the chicken was slightly crisp while being completely moist and generally enjoyable to eat. However, other than the noodles, the rest of the food was pretty average at best. 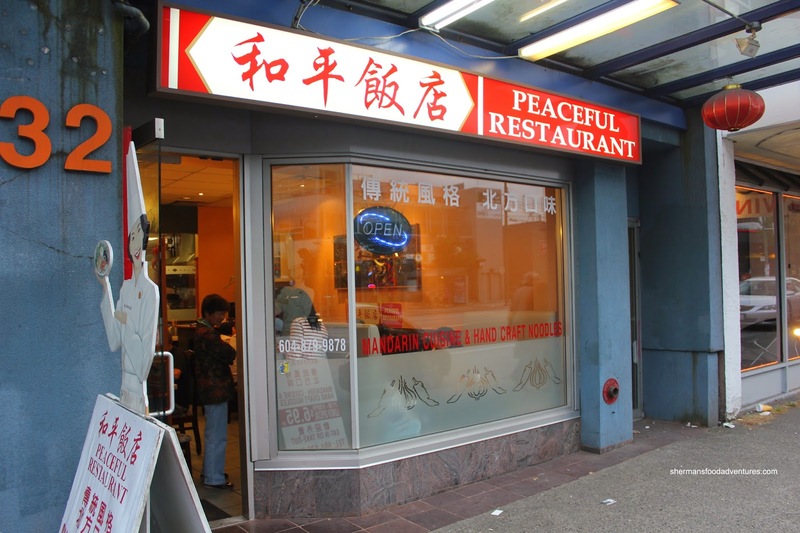 Since the place is mostly famous for its hand-pulled noodles, at the very least it does do that right.